The Fraser Valley Farm Fresh Guide is the go-to source for anyone interested in fresh, locally-produced foods. A diverse list of farms, markets, gardens and even wineries can all be found within its pages. Likewise, the Province’s new Agrifoods Strategy is the go-to source for building a profitable agrifoods industry in BC. As part of the BC Jobs Plan this five-year strategy builds on our worldwide reputation for producing innovative, safe, high quality and great-tasting foods. The strategy focuses on our strengths, and maximizes the benefits and opportunities for B.C. farmers and communities like those in the Fraser Valley. When you buy local, you not only reduce your carbon footprint but you also support your local farming community. The Fraser Valley Farm Direct Marketing Association worked very hard to put together this guide to promote local agriculture and strengthen the connections between regional growers and local foodies. This guide lists over 100 different farm products and services in the region. We have access to some of the healthiest, natural ingredients available. 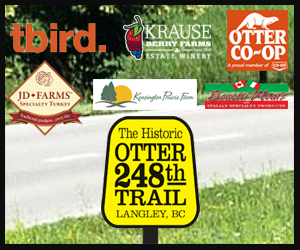 Make it your goal to enjoy the immense variety of foods grown and produced in the Fraser Valley. Make healthy, great-tasting choices for your family by supporting B.C.’s farm families.